A class of students at RIT worked to complete and publish Splattershmup, a video game that combines Asteroids-style play and abstract art. The game is being showcased in the MAGIC Center booth on the expo floor at Game Developers Conference 2015. Fifteen Rochester Institute of Technology students can now add title credits to their résumés, after working together as a class to create and publish the video game Splattershmup. The free desktop computer game is a cross between a shmup—a classic shoot ’em-up arcade game, such as Asteroids—and abstract Jackson Pollock-style action painting. 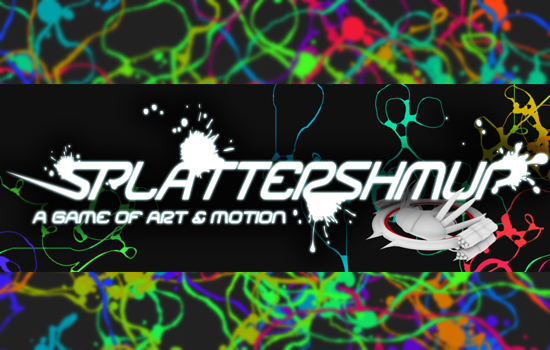 Splattershmup was released online in open beta Feb. 26. Currently, the game is being showcased on the expo floor at Game Developers Conference 2015, the world’s largest professional gaming industry event, held March 2–6 in San Francisco. The game was produced throughout the Fall 2014 semester as part of Production Studio, an elective course offered through RIT’s School of Interactive Games and Media with guidance and support from the RIT Center for Media, Arts, Games, Interaction and Creativity (MAGIC). Professor Andrew Phelps, who came up with the original game concept and introduced students to the idea at the beginning of the semester, taught the course. “This was the first time that we have ever set out as a class to produce a complete game that we would publish,” said Phelps, who is also director and founder of the MAGIC Center. While RIT students have published video games before, Phelps says that these games are normally started as a class project by a just few students and finished much later on. Just like in a true development studio, each member of the class was assigned a specific role and tasks to create the game. By the end of the semester, the class had created a fully functioning prototype. After two more months of polishing and testing, the game was ready to publish. “It is intended to allow the player to reflect on their in-game actions and strategy through visual record, and to approach the creation of art as an arena of action,” said Phelps. The Splattershmup student team is made up of fourth-year game-design and development students Kathleen Tigue, Amanda Rivet, Brett Morris, Clifton Rice, Steven Sucy, Jake Higgins, David Mann, James Castle, Kyle Forgaard, Derek Kuykendall, Joshua Kwiatkowski, Daniel Law and James Zolyak; third-year game design and development student Liam Middlebrook; and fourth-year computing security student Dimitri Dolgov. Other contributors to the course were RIT alumnus Aaron Cloutier and Jennifer Hinton, assistant director of RIT’s MAGIC Center. RIT’s MAGIC Center was established in 2013 to help bridge the gap between university research and commercial production. MAGIC consists of both a research laboratory and MAGIC Spell Studios, which handles the publishing and distribution of its projects—including Splattershmup. The MAGIC Center booth at GDC is showcasing three other student-developed video games, including Wulverblade, Super Daryl Deluxe and A.V. After play testing the game with the more than 24,000 attendees at GDC, the Splattershmup team hopes to continue improving the game. 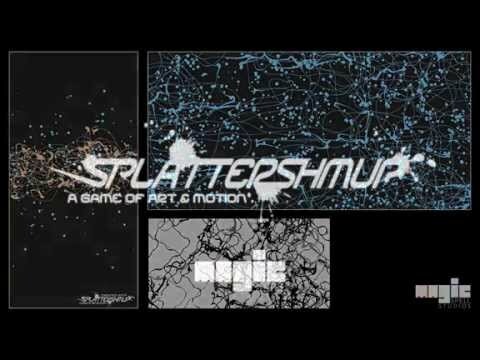 To learn more about Splattershmup and play the game, go to splattershmup.rit.edu.